Staff and shoppers have been evacuated from a Primark store in Belfast after a large fire broke out on the roof of the building. 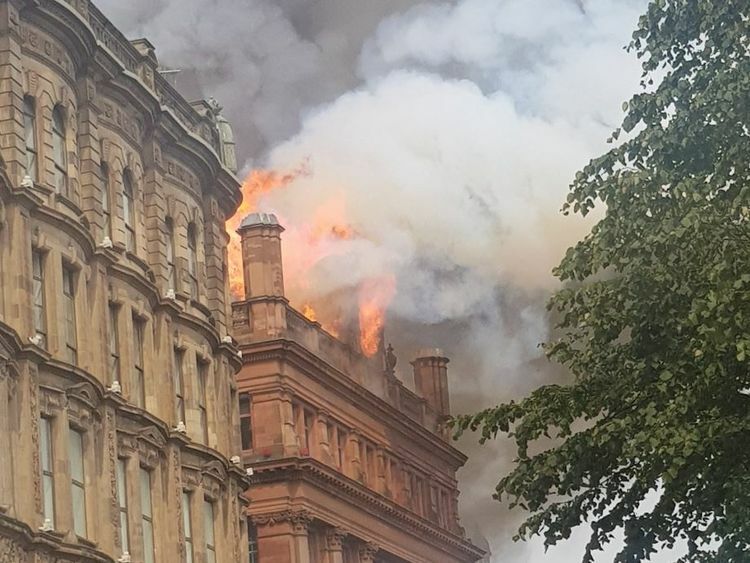 The blaze began at about 11am - and Northern Ireland Fire and Rescue Service (NIFRS) has sent 14 appliances and as many as 100 firefighters to the scene in the Castle Street district of the city. Ambulance crews are also in attendance but there are no reports of any injuries, and the public has been advised to avoid the area while the incident is ongoing. A Northern Ireland Fire and Rescue Service (NIFRS) spokesman said: "Fourteen fire appliances, a high volume pump, three aerial appliances and two command support units are in attendance. 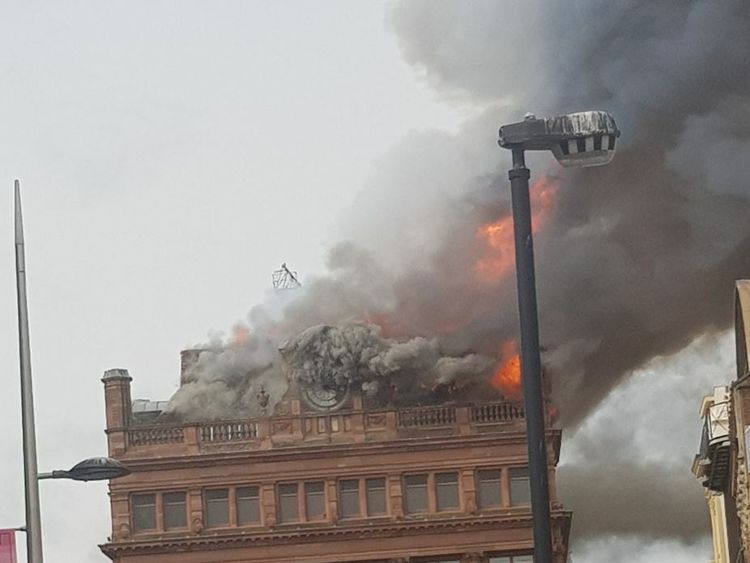 "Fire has extensively damaged the Primark building in Belfast city centre which started on the fifth floor of the five-storey building before spreading to all floors. "Firefighting is ongoing and will continue into the evening. Residents and businesses in the area are advised to keep windows and doors closed due to heavy smoke in the vicinity. "While the incident is ongoing, NIFRS wishes to reassure the public that contingency measures are in place to ensure normal service delivery is maintained across Belfast." 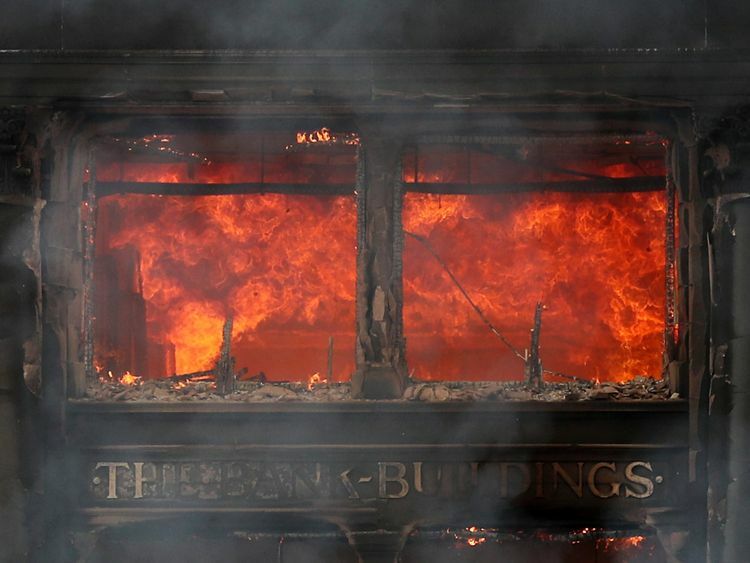 Primark chief executive Paul Marchant said the retailer was "deeply shocked and saddened" by the fire. "The safety and wellbeing of our customers, colleagues and construction team is of course the most important consideration and we are truly relieved that all were evacuated safely," he added. "We would like to thank the emergency services for their swift response and ongoing actions. "Our store is housed in an iconic building and much loved by the people of Belfast. 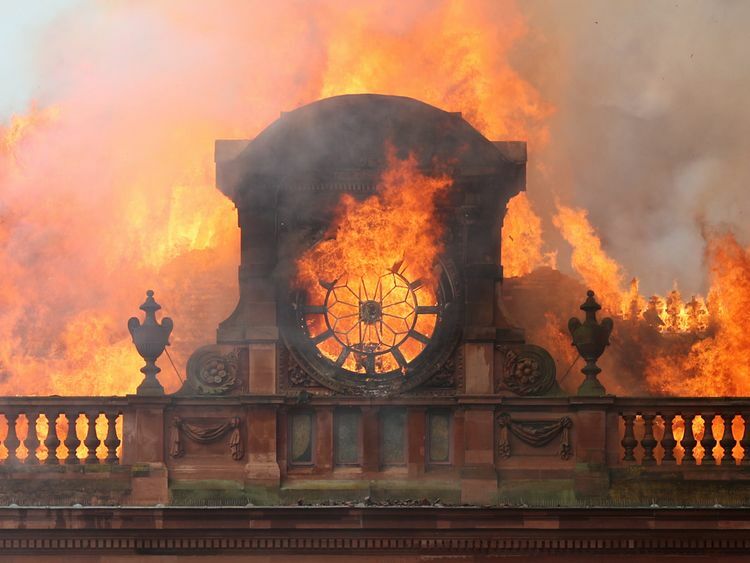 We would like to reassure our customers, colleagues and the wider community in Belfast that we are committed to working with the authorities and our building contractors to establish the cause of the fire." According to local councillor Julie-Anne Corr-Johnston, the store had only recently been refurbished. 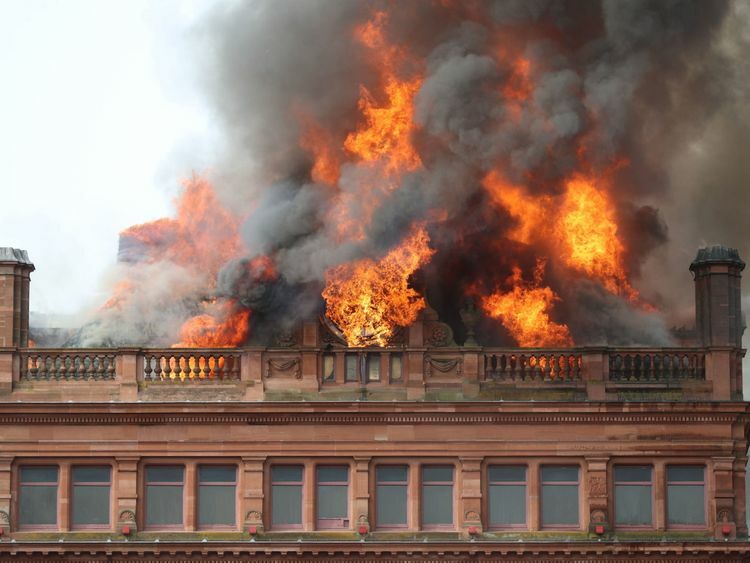 She tweeted: "The Primark building in Belfast City Centre has caught fire. Emergency services are responding. "Devastating news particularly following the recent refurbishments and extension. "Just last week, Belfast Live reported that the store was seeking to hire 100 people to staff a major expansion, which was set to add 30,000 sq ft of retail space at a cost of €30m.Smoke can be seen billowing from the building from across the city, with residents and local business owners advised to keep their windows and doors shut and police putting multiple traffic diversions in place. Motorists are asked not to use Bridge Street, High Street, Castle Street, Queens Street, Royal Avenue and North Street to allow fire crews to deal with the blaze.Primark is among the famous old Bank Buildings of Belfast, which were designed by Sir Robert Taylor.They were erected by Waddell Cunningham in 1785, with the original bank opening two years later under the unusual name of The Bank of the Four Johns - because all four of its founders were called John.When the bank collapsed, it was eventually converted into a shop in 1805 and new bank buildings were designed at the turn of the century. House of Fraser and then Boots owned the buildings before they were damaged by bomb explosions in 1975, and Primark took over in 1979.The store was refurbished and the exterior restored to its pre-bombing glory not long after.